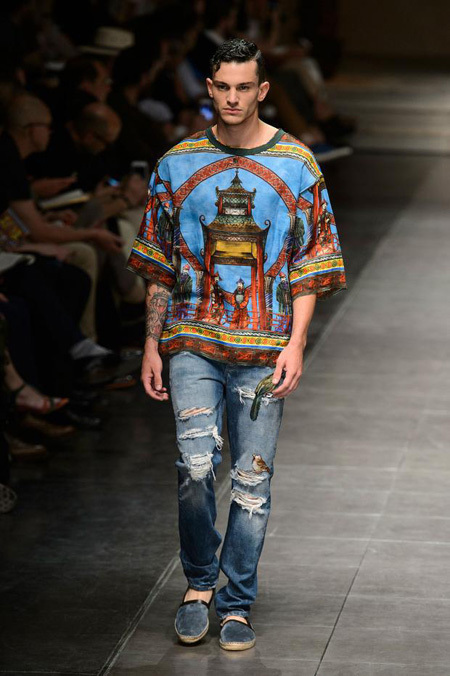 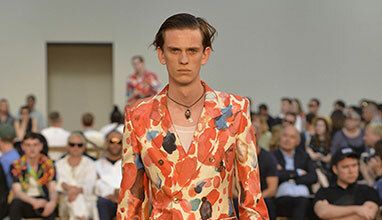 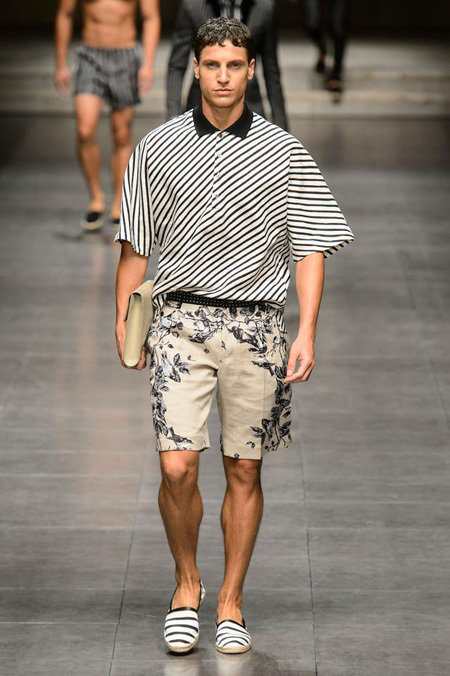 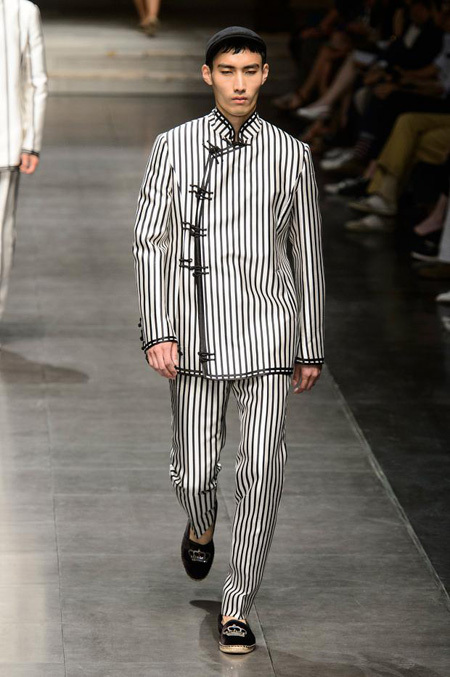 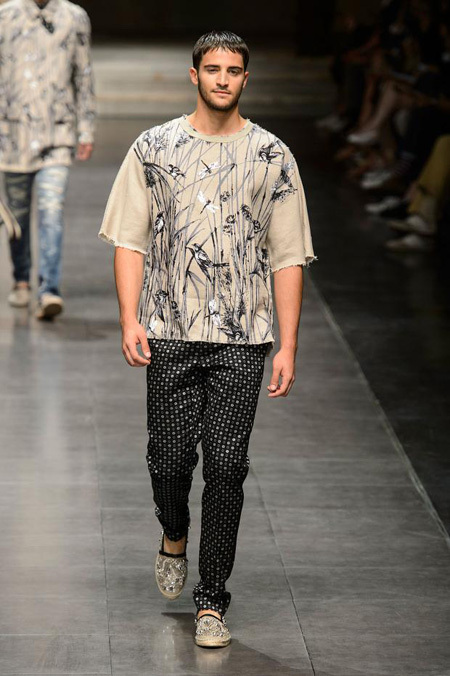 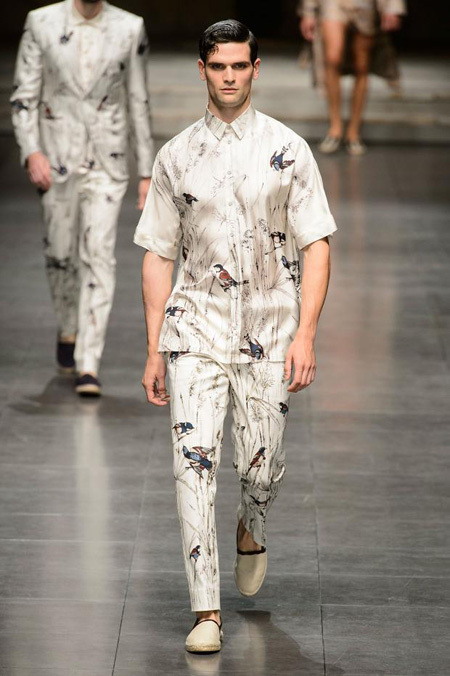 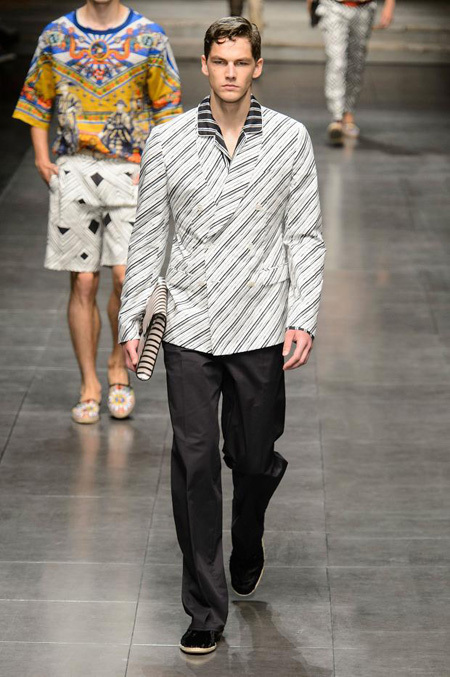 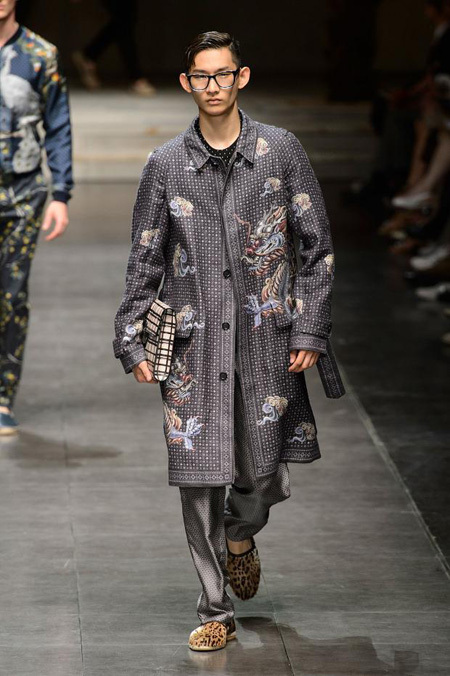 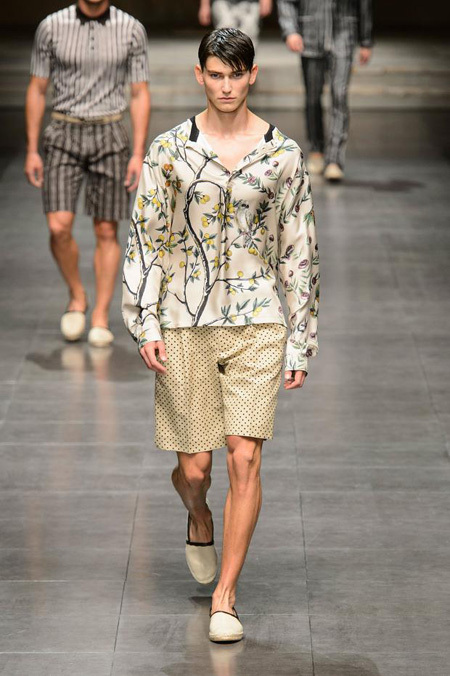 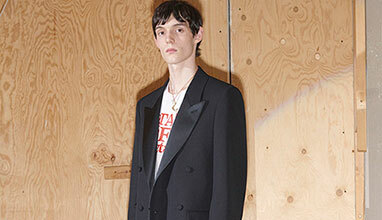 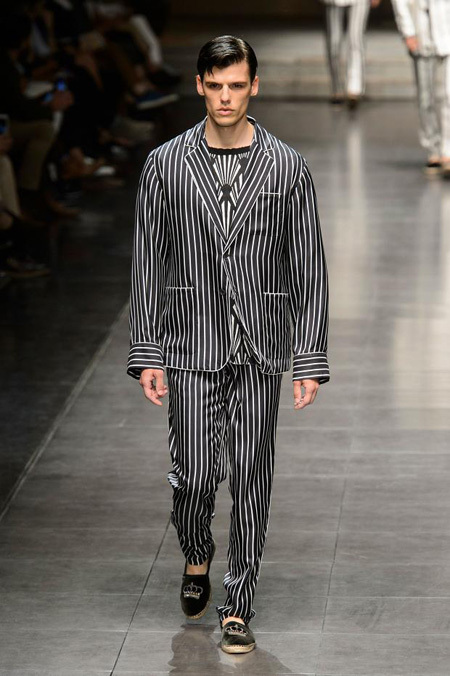 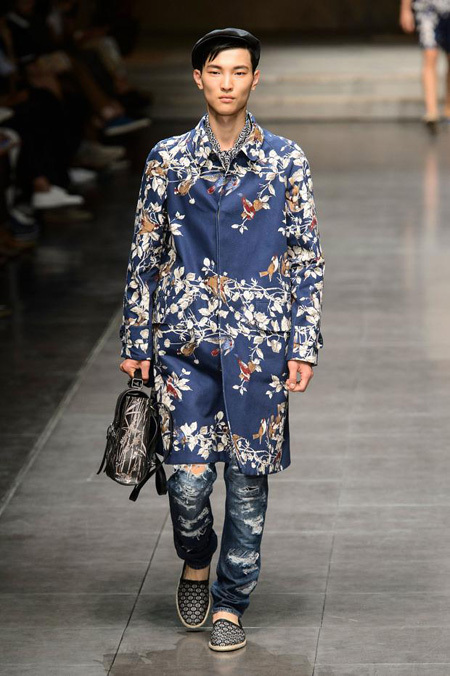 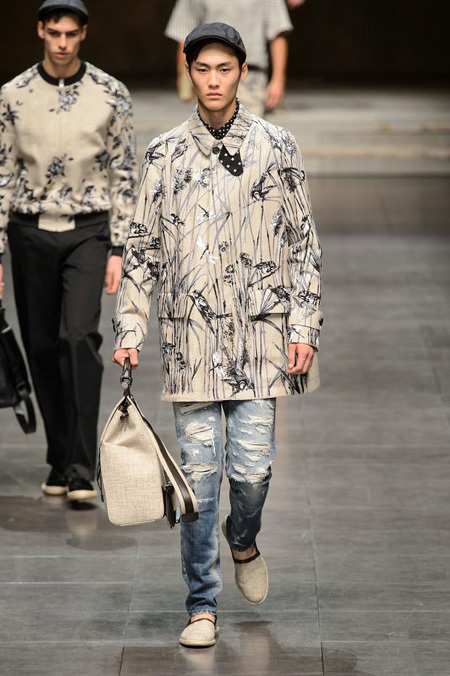 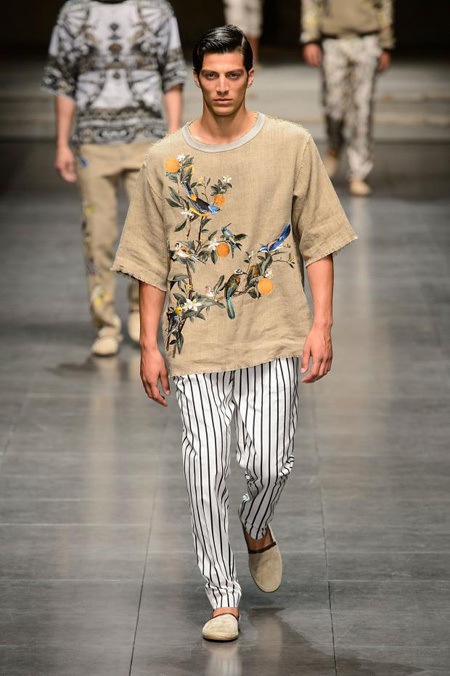 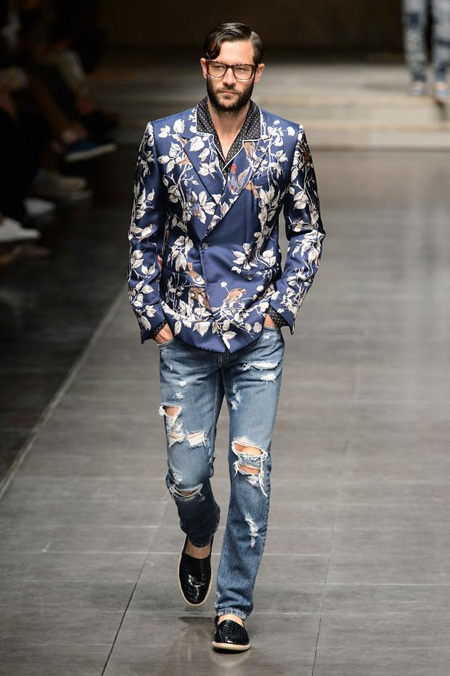 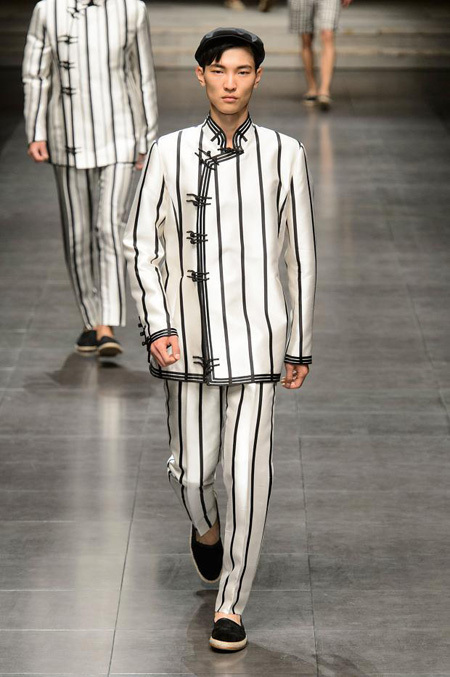 Chinese atmospheres and the Mediterranean tradition of Sicily come together in this Spring-Summer 2016 collection for men. 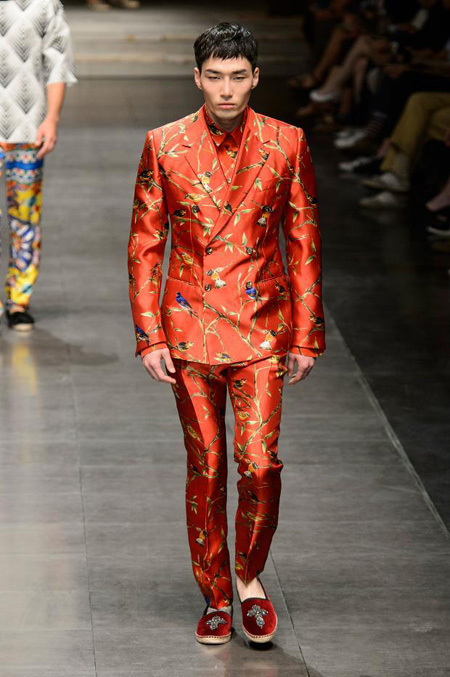 The exotic beauty of the peacock is enhanced by lemon yellow and citrus orange, while puppets, dragons, horses and Oriental dignitaries enact an extravagant stage show, made even more extraordinary by the presence of pagodas, lanterns, cacti and tassels. 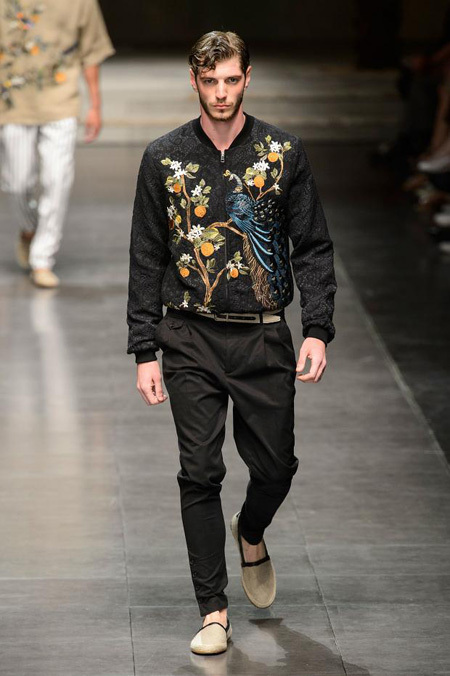 The Chinese Palace of Palermo, with its finely painted fabric panels, precious tapestries and beautiful paintings of tropical birds, is a paragon of this eccentric taste for exoticism. 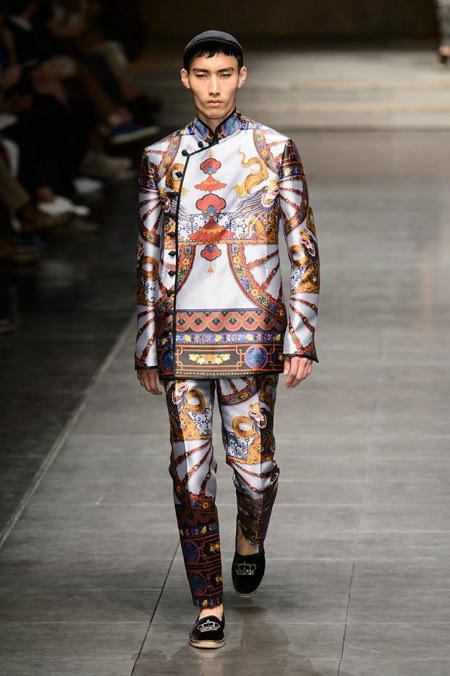 The geometric frames and floral decorations that adorn this original gallery are intended as a tribute to both the fabulous lacquered furniture of the Orient and the exuberant colours of the Sicilian horse or donkey-drawn cart. 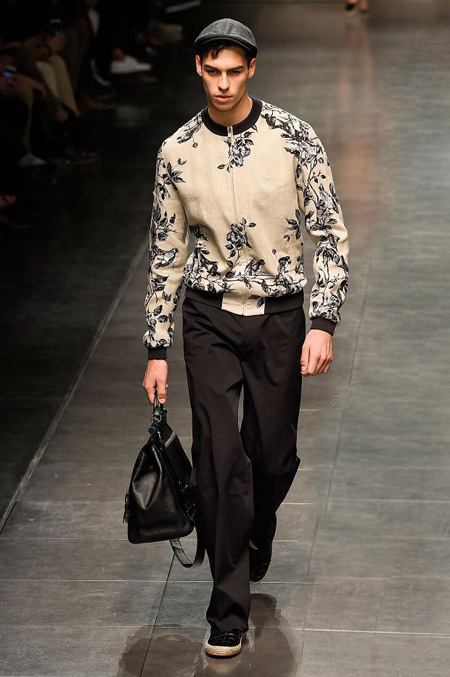 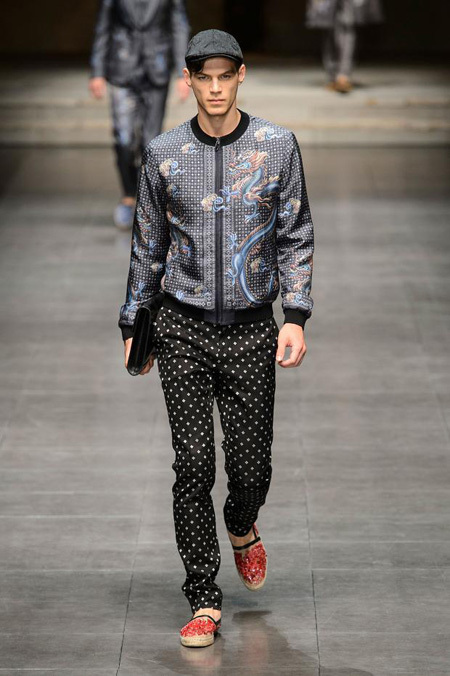 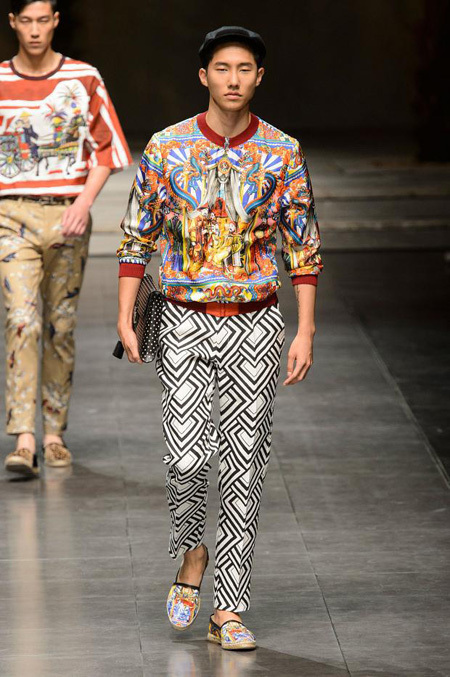 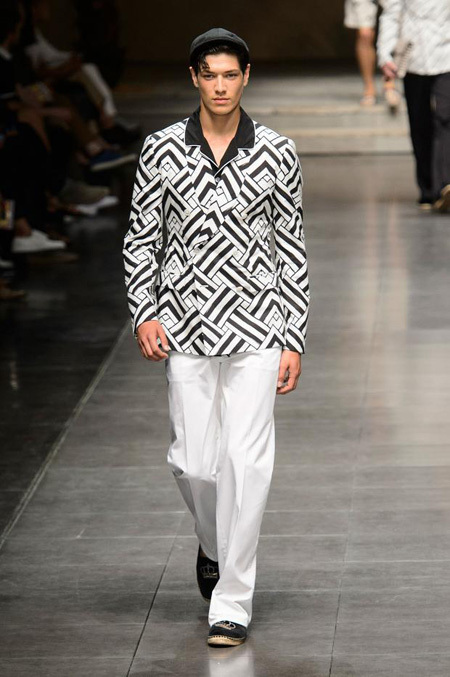 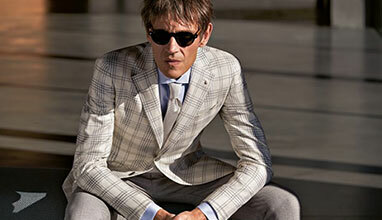 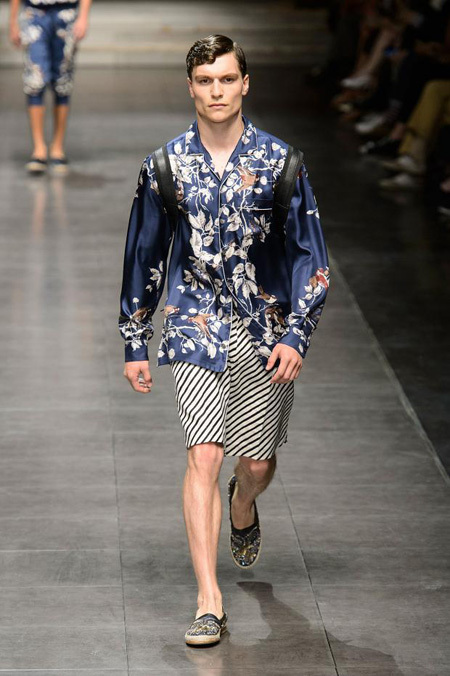 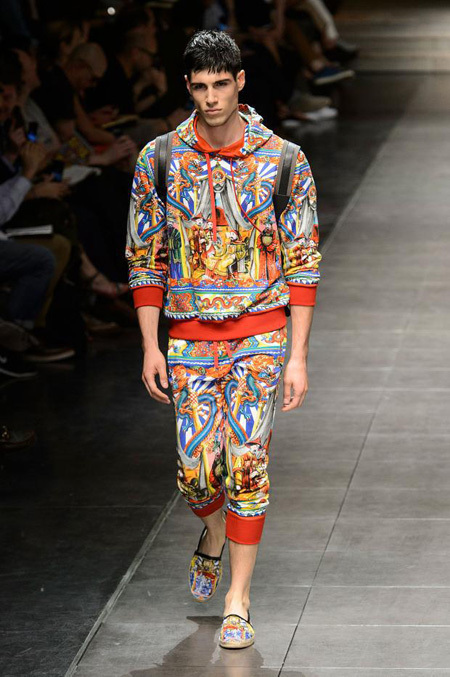 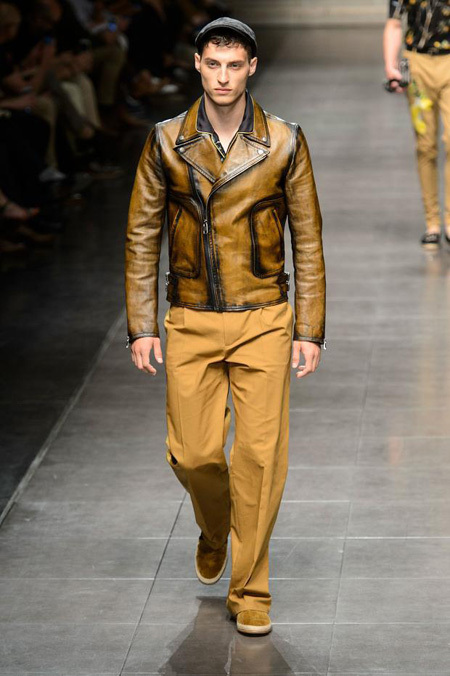 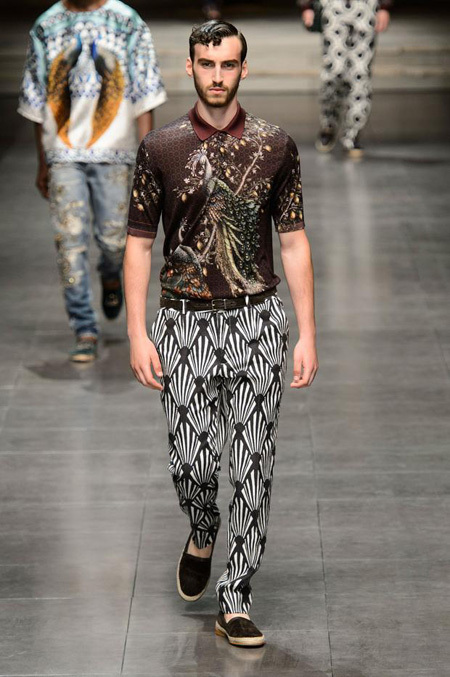 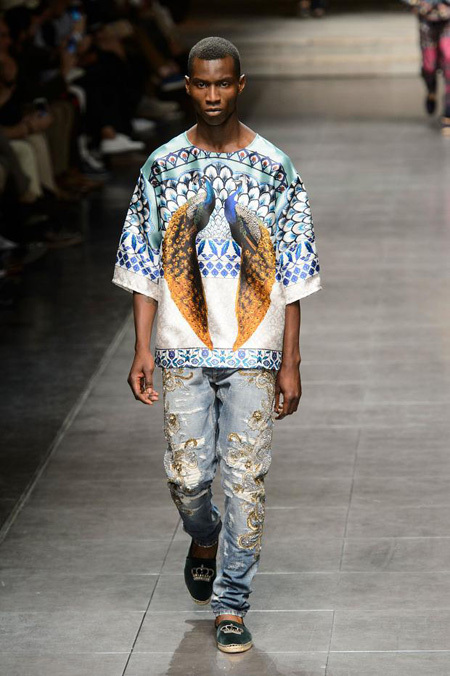 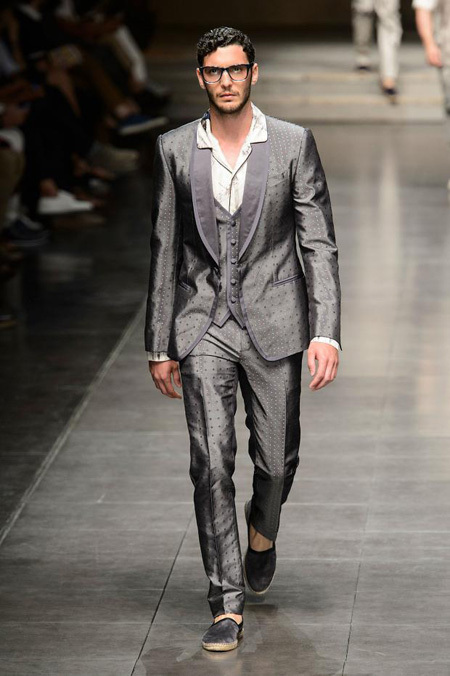 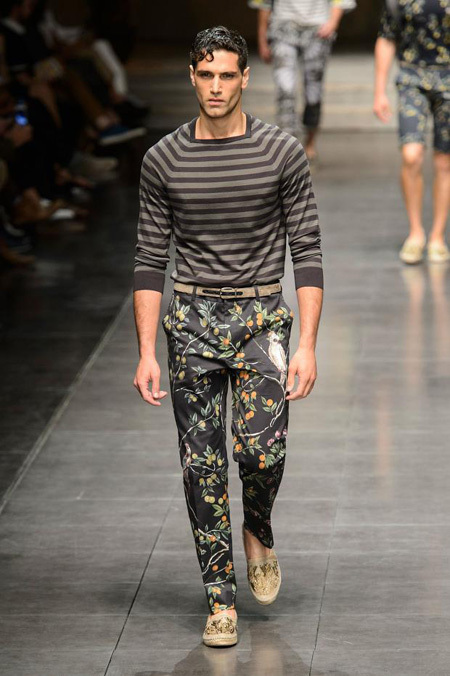 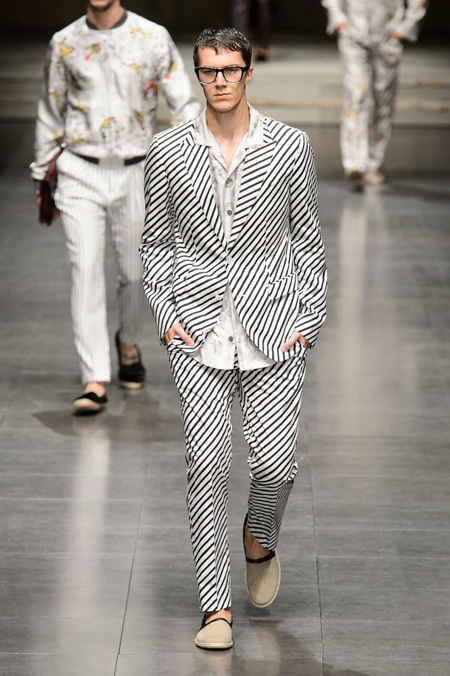 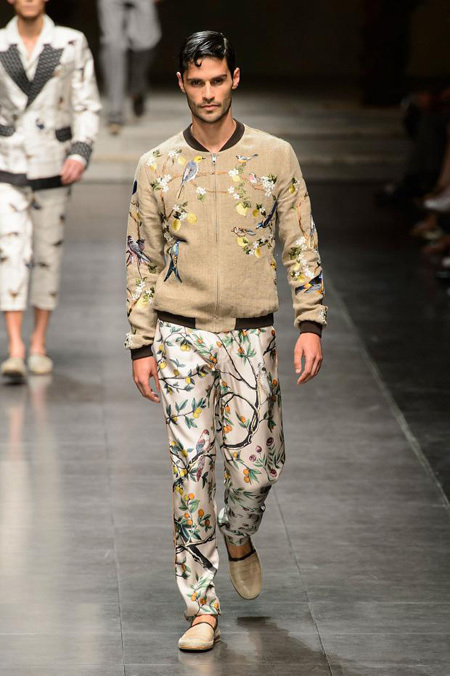 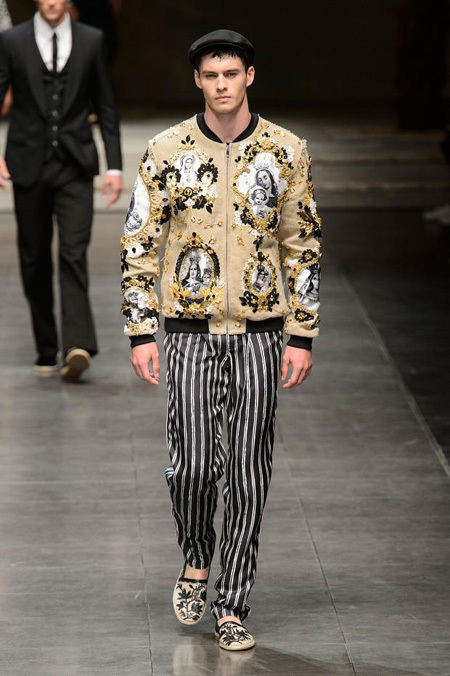 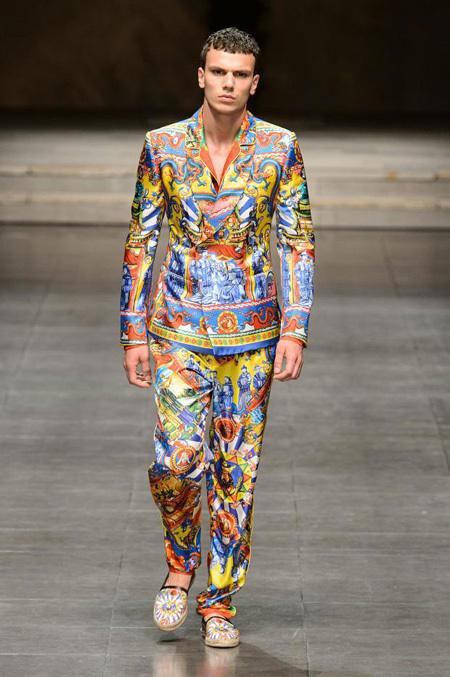 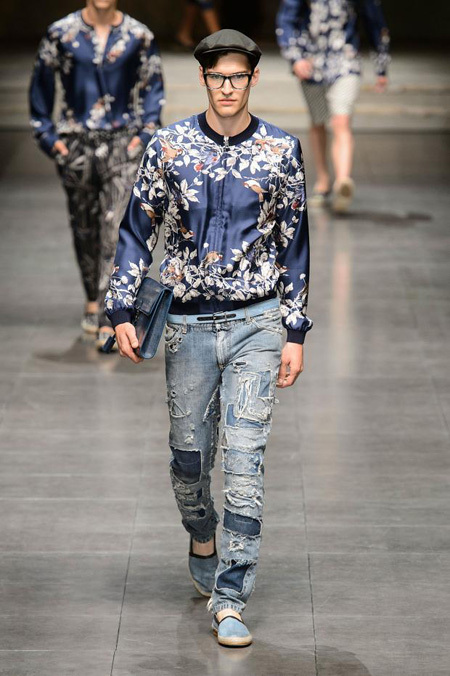 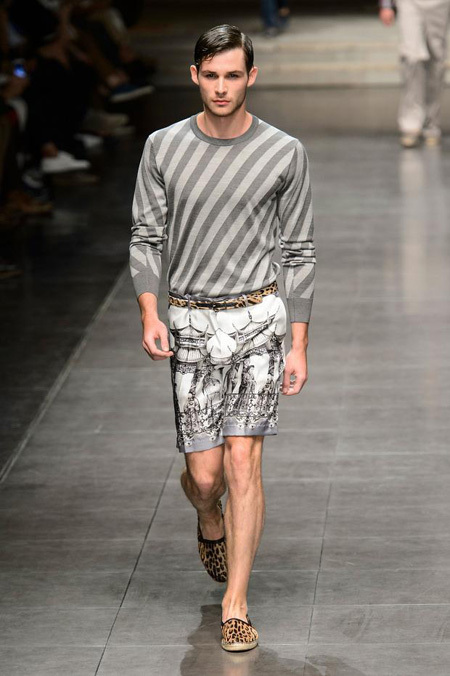 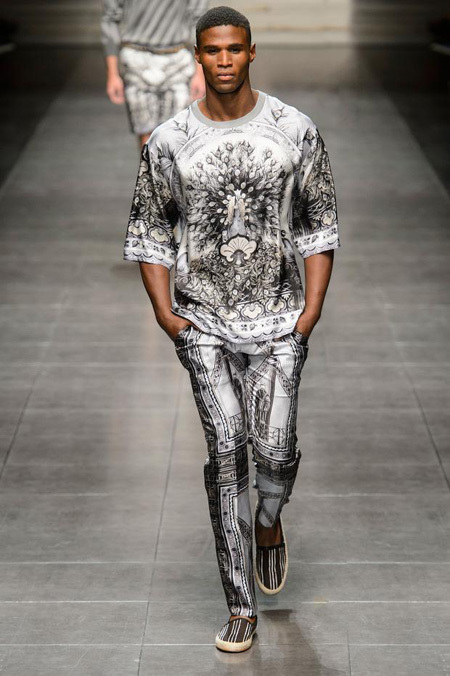 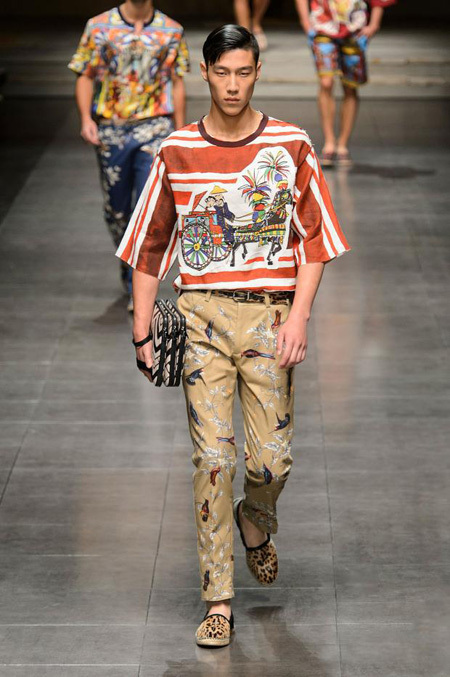 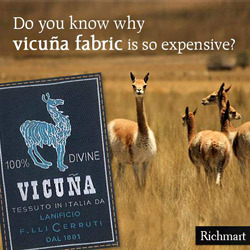 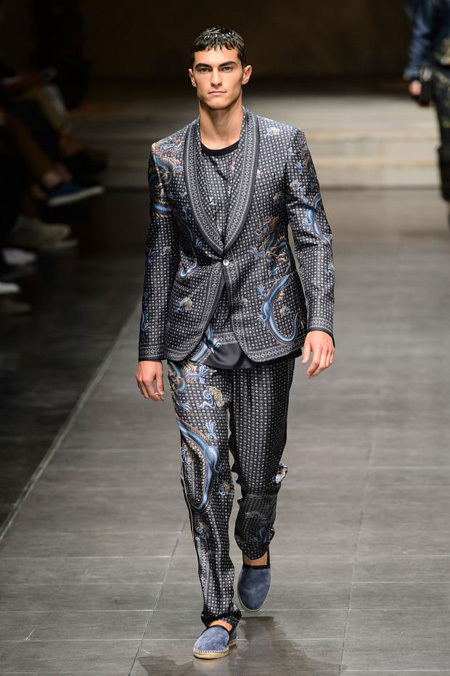 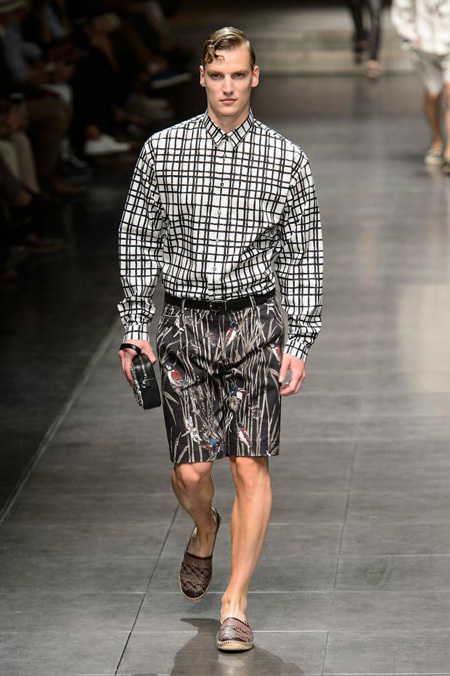 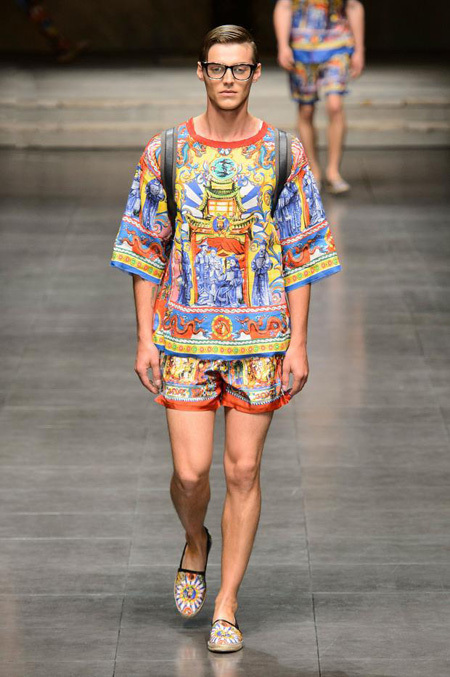 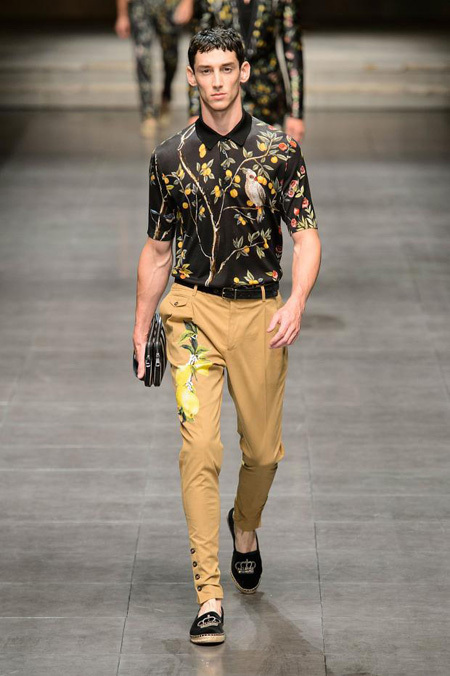 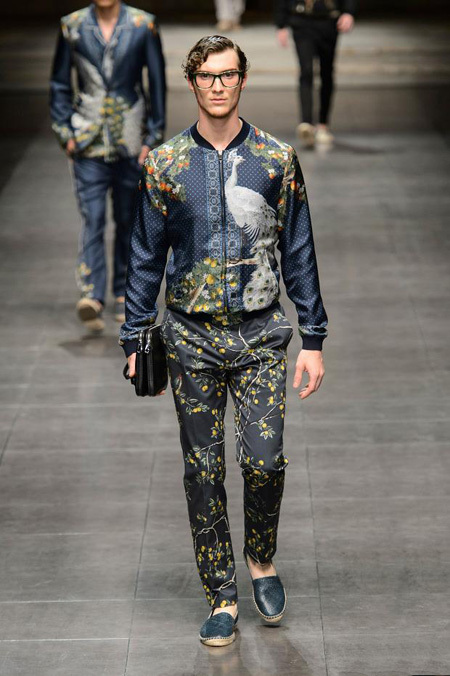 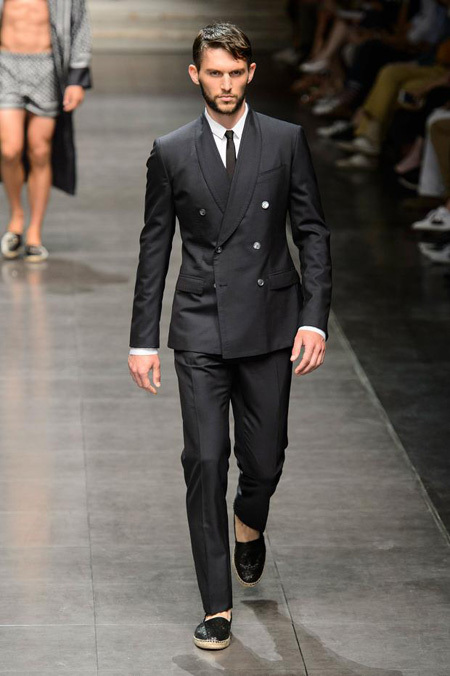 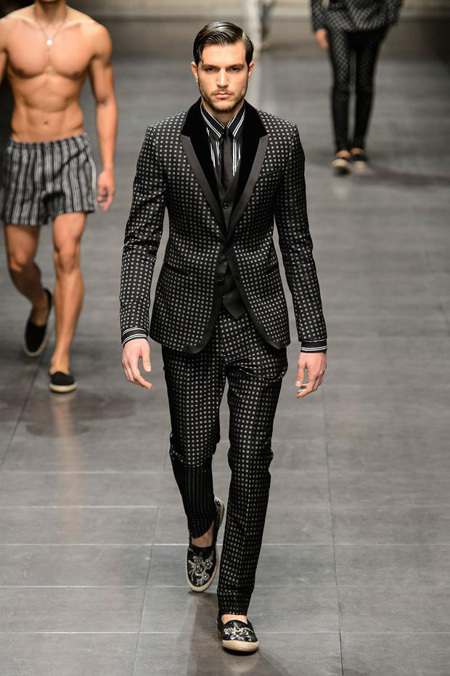 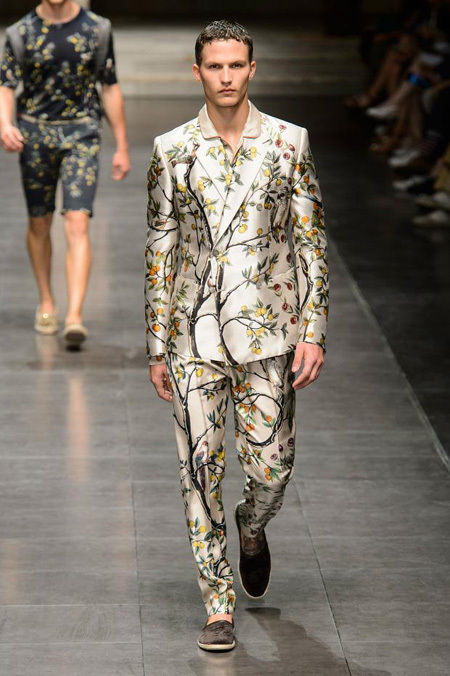 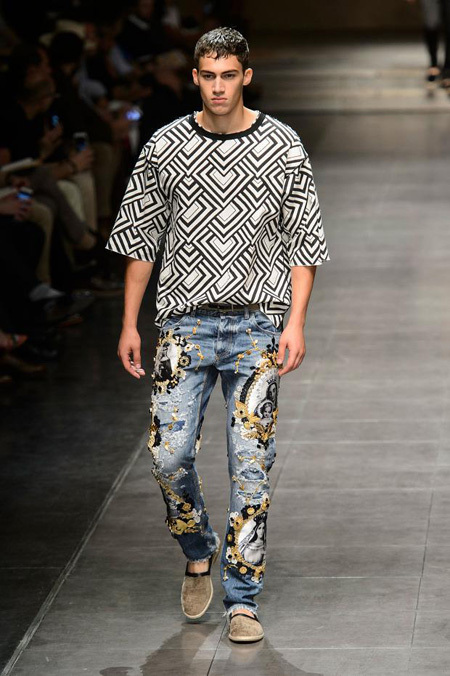 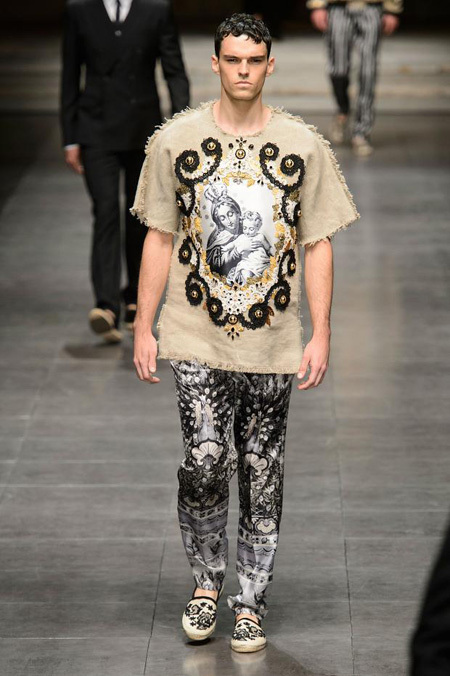 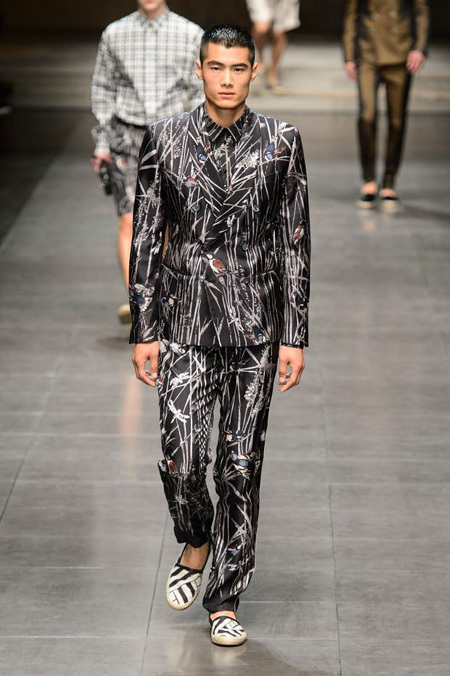 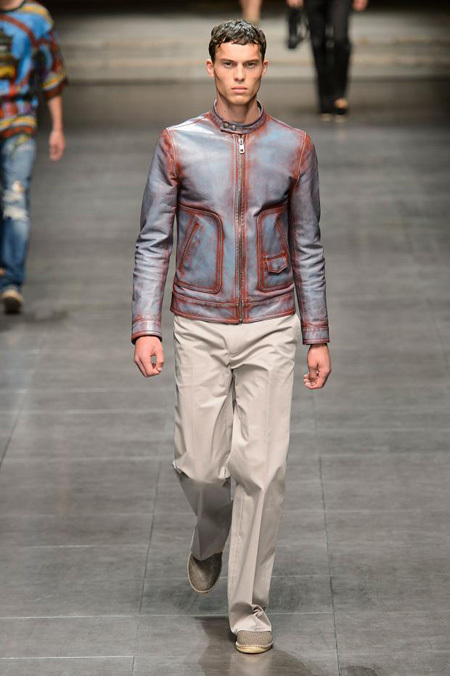 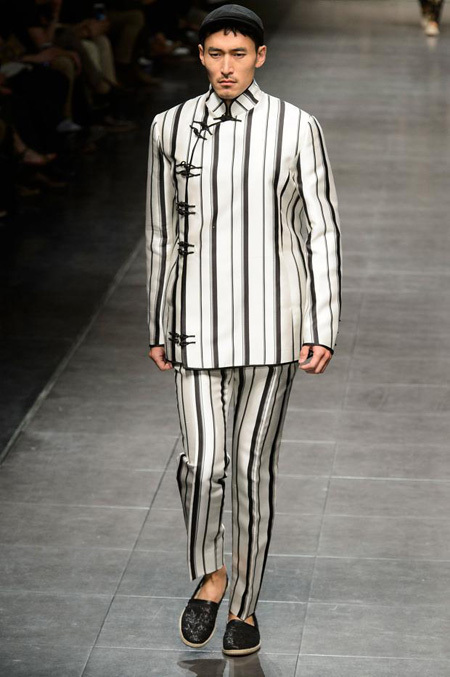 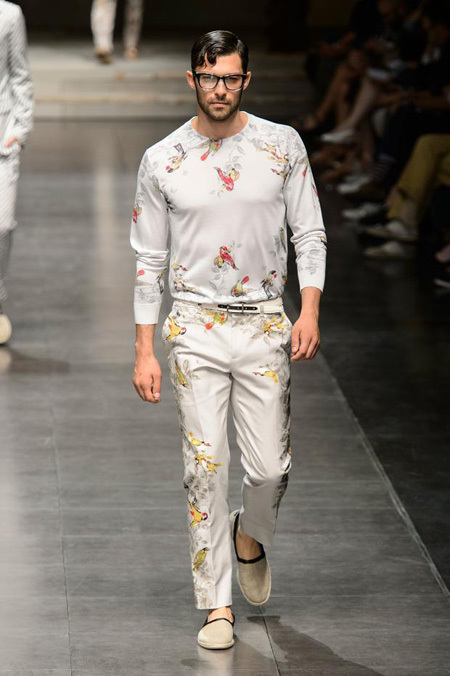 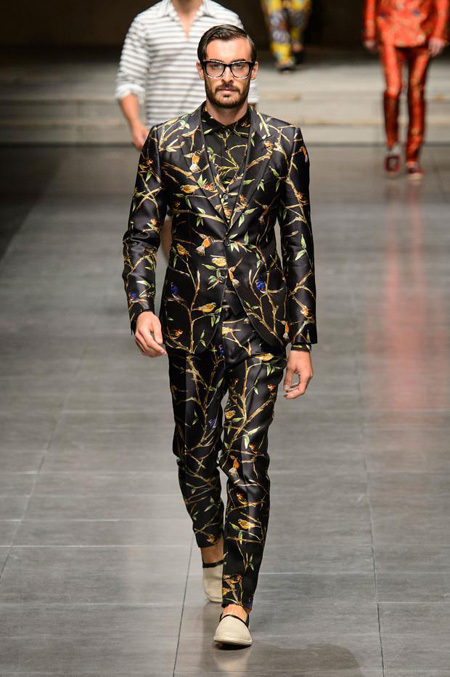 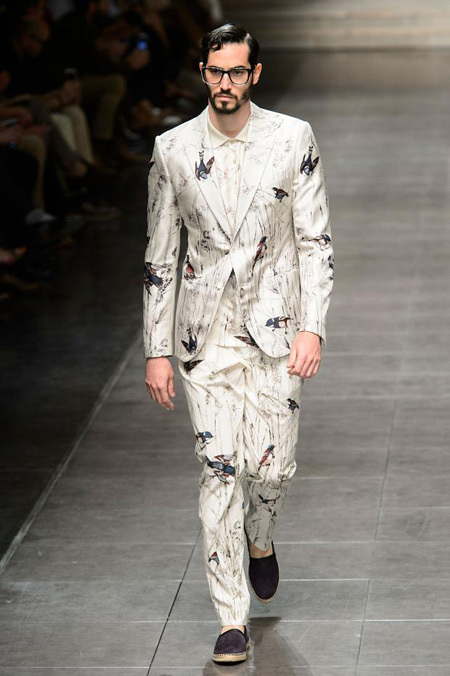 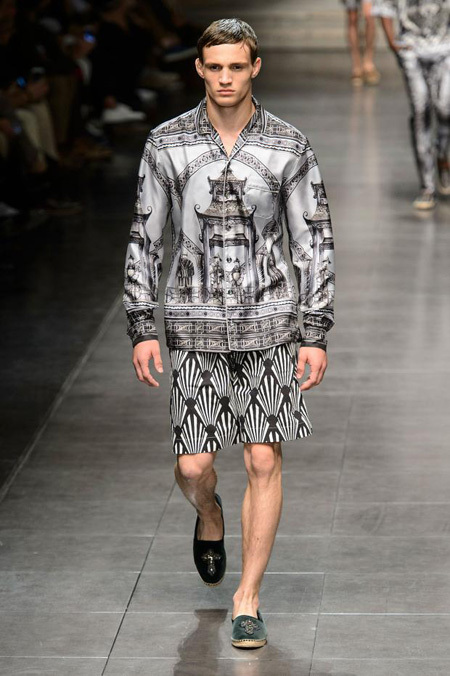 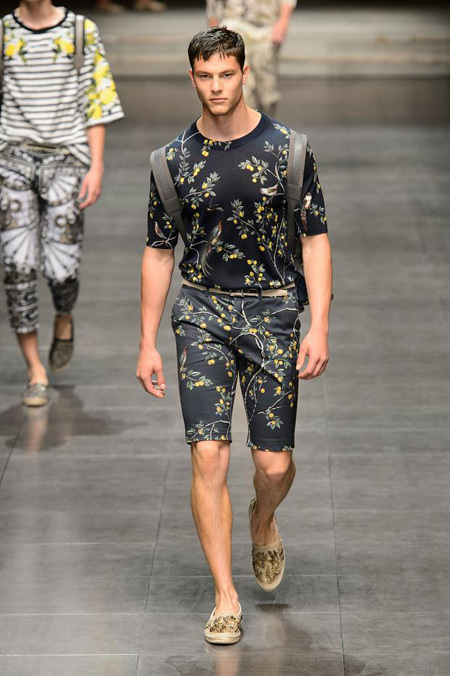 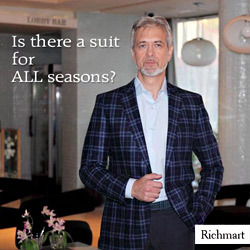 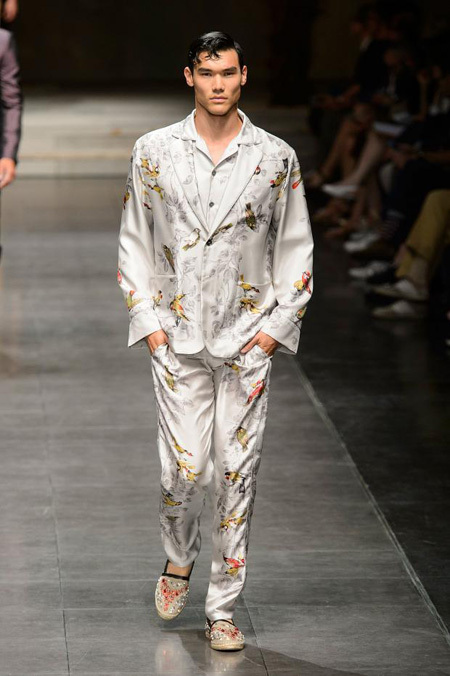 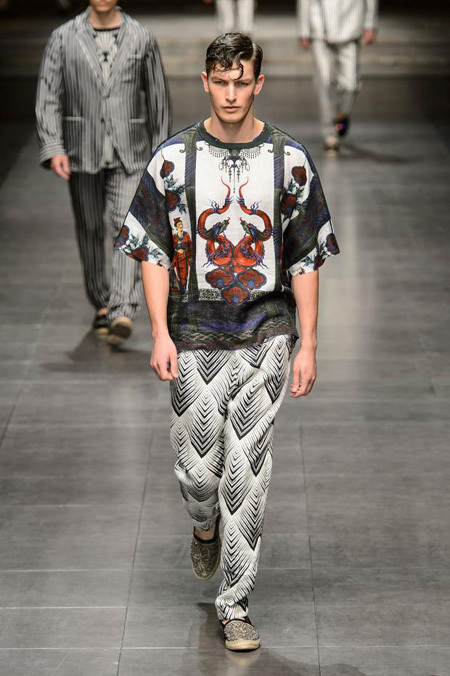 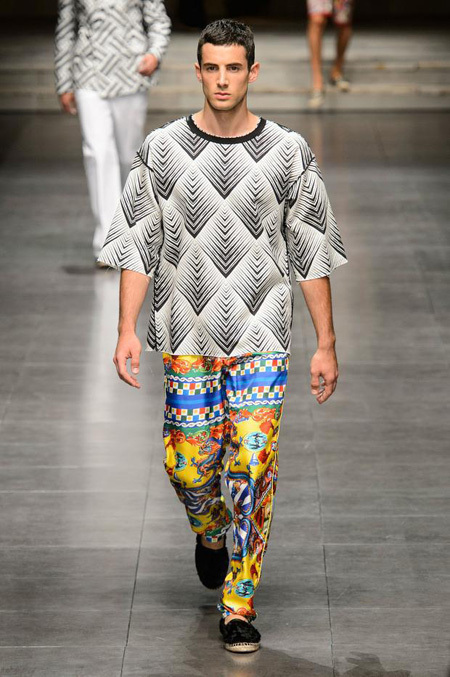 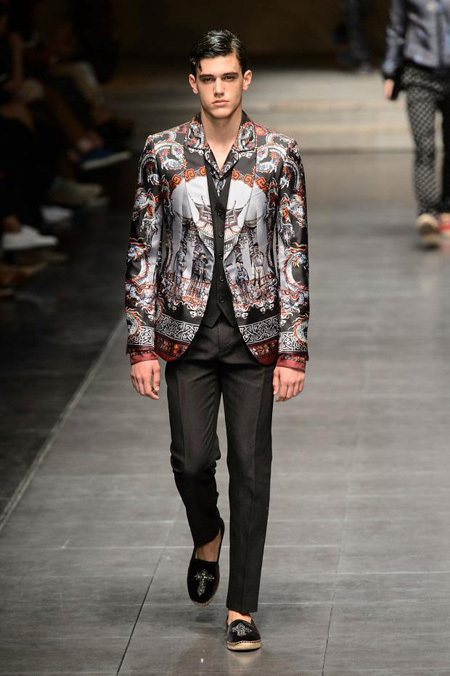 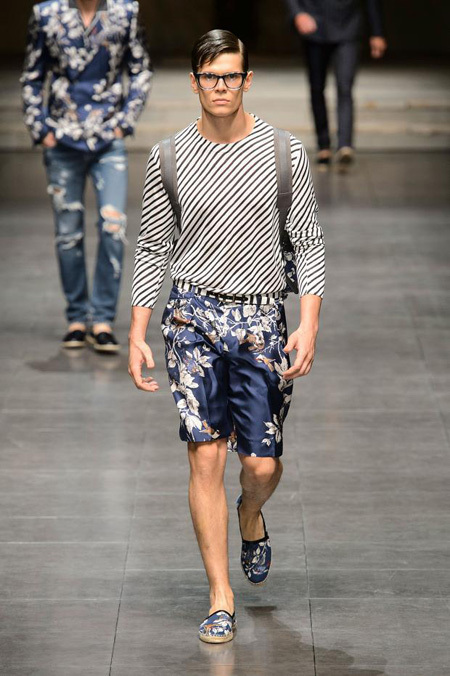 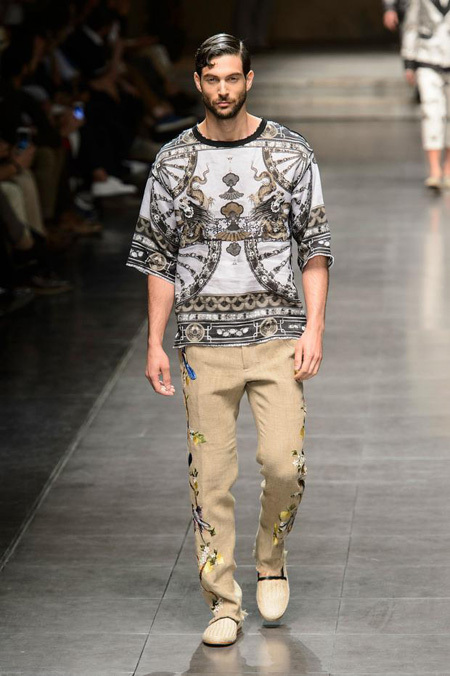 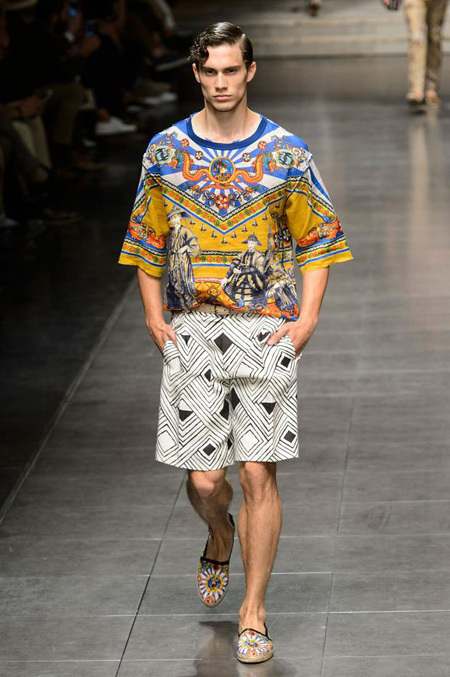 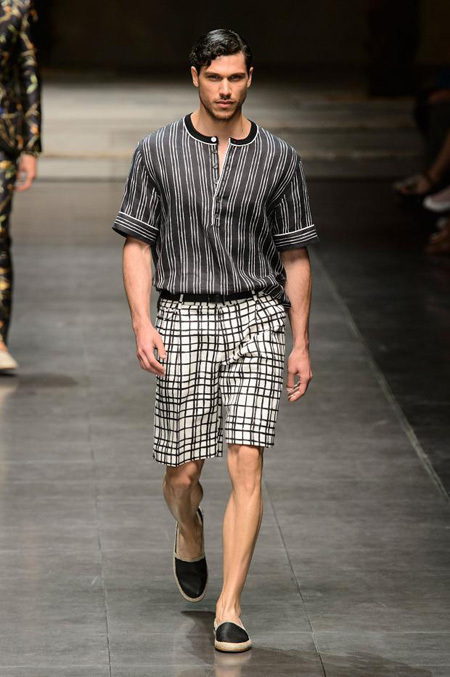 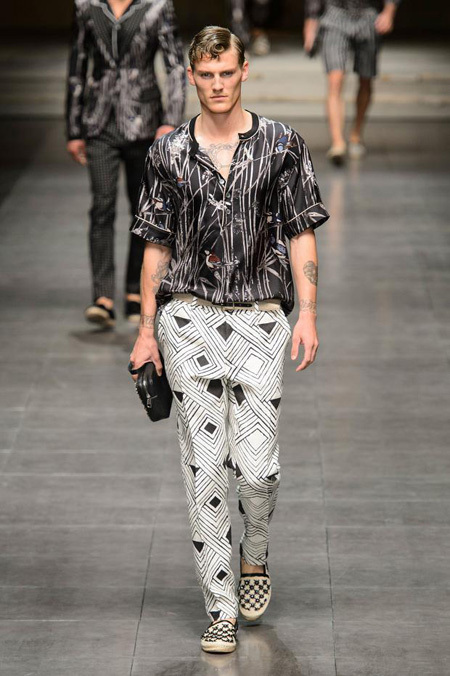 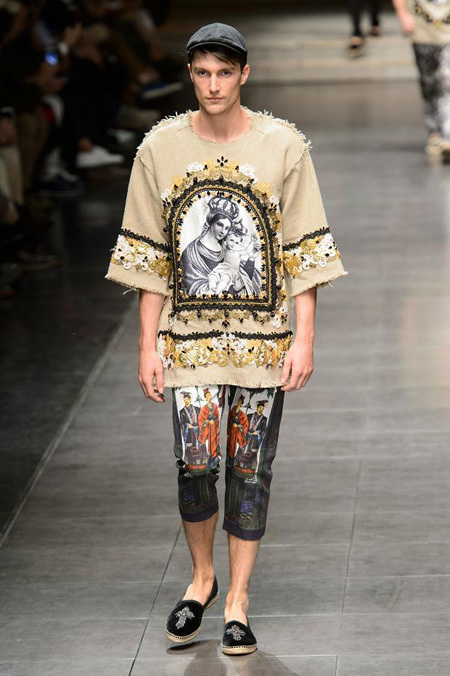 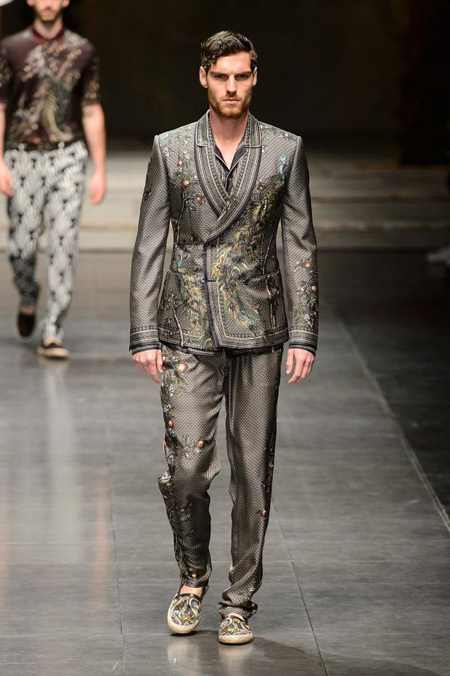 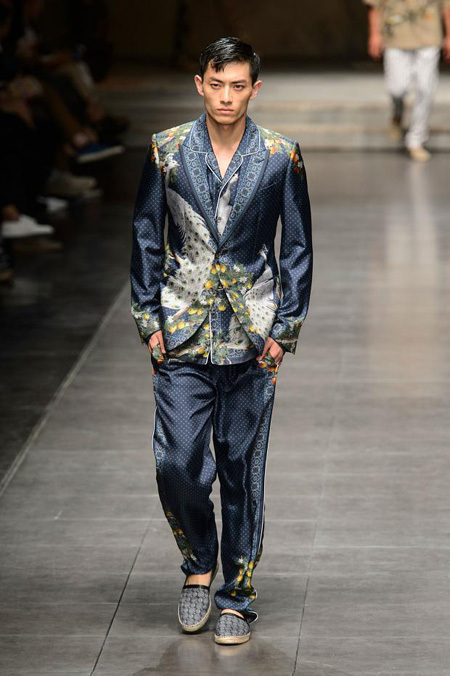 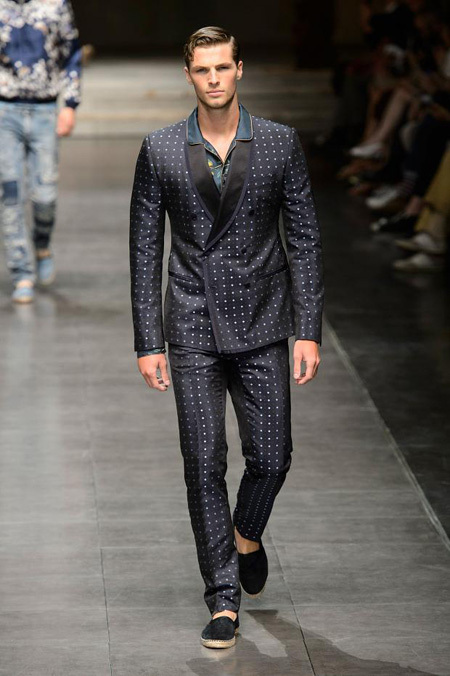 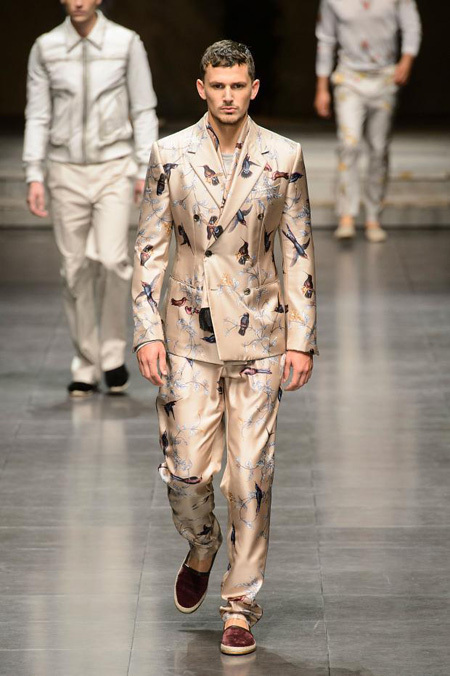 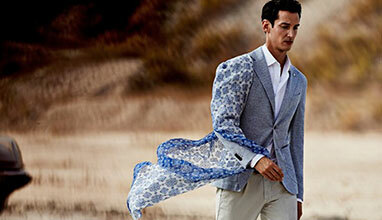 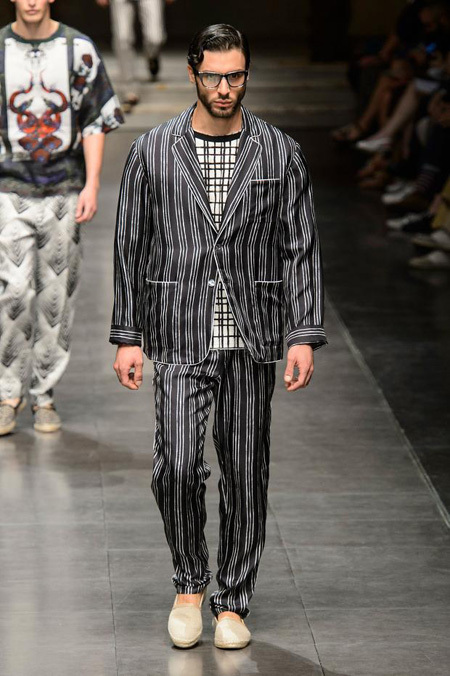 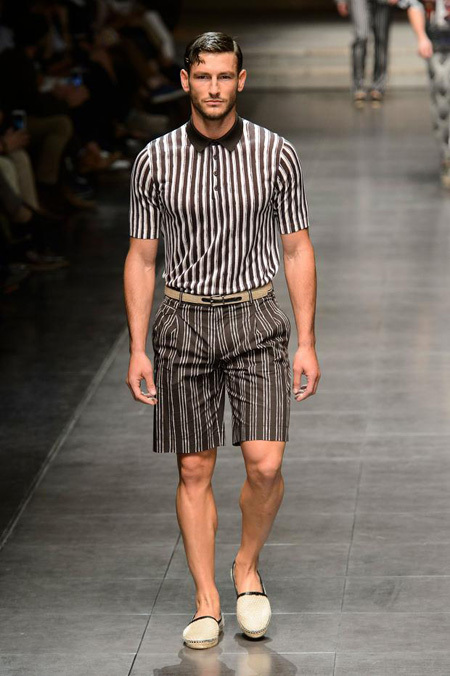 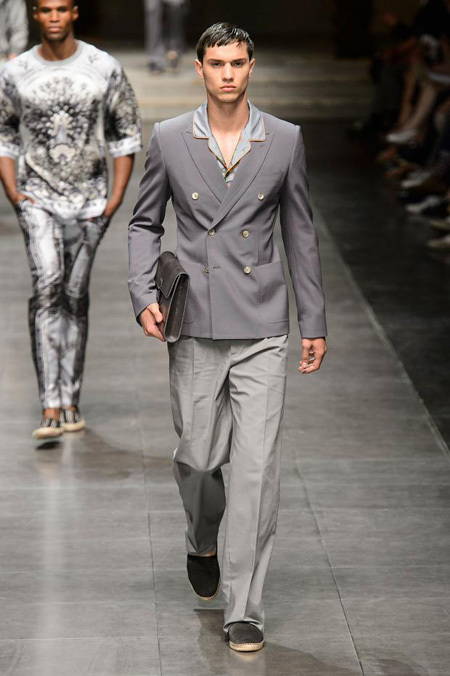 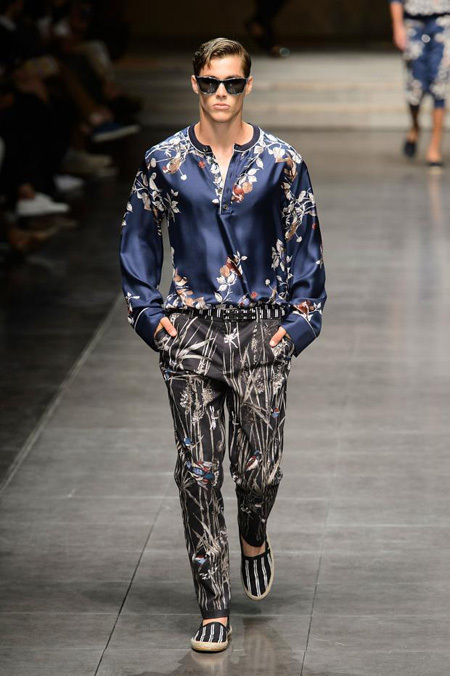 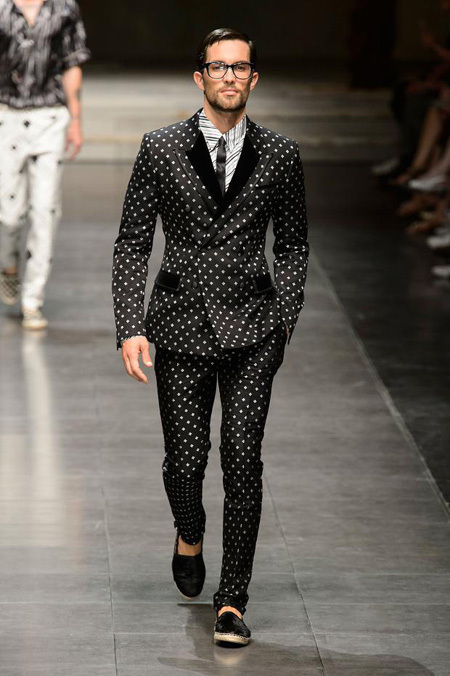 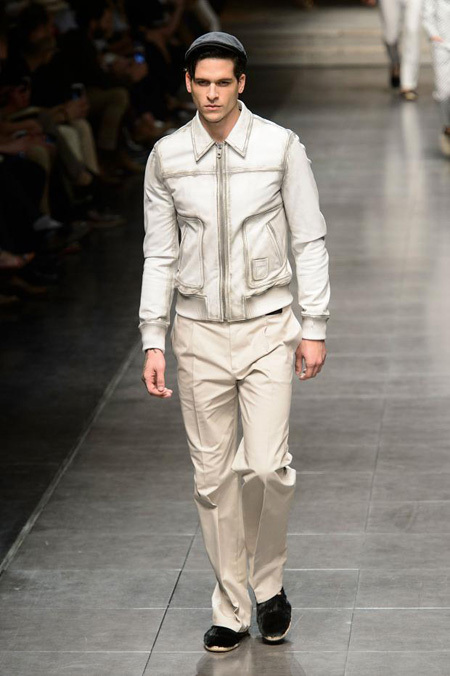 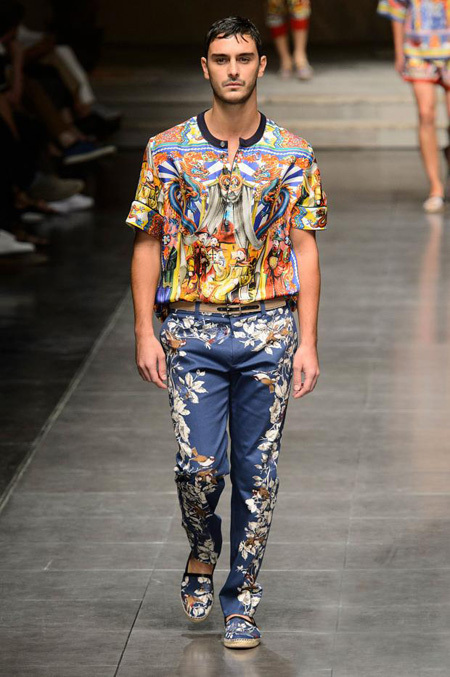 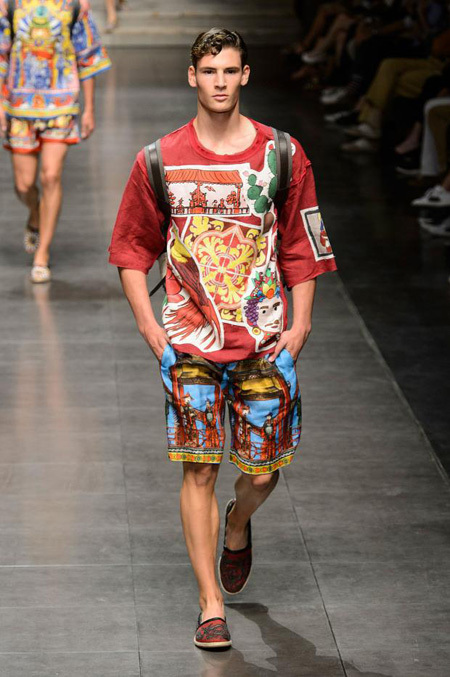 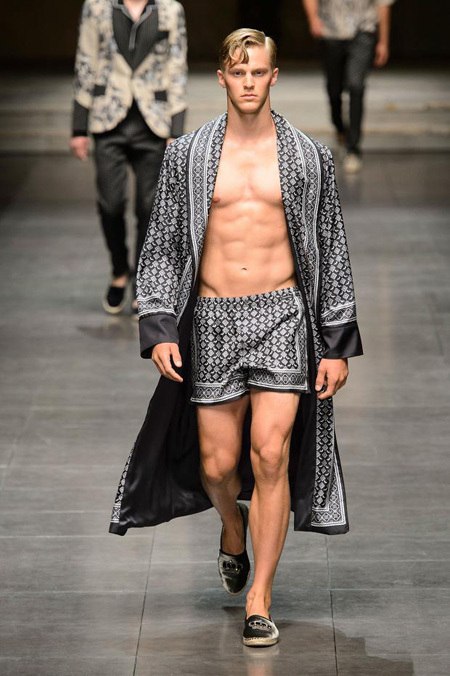 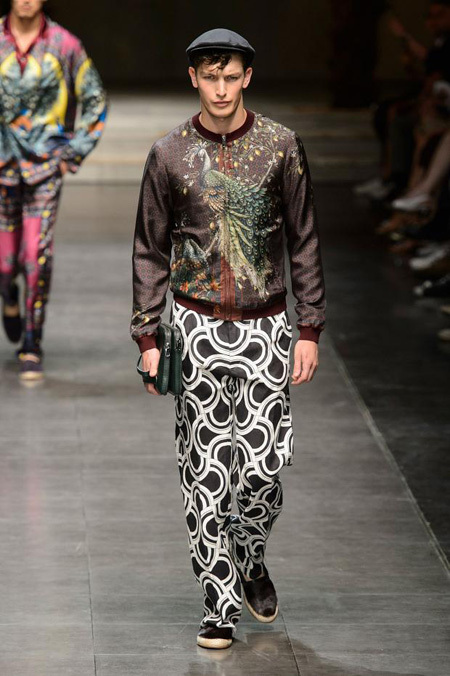 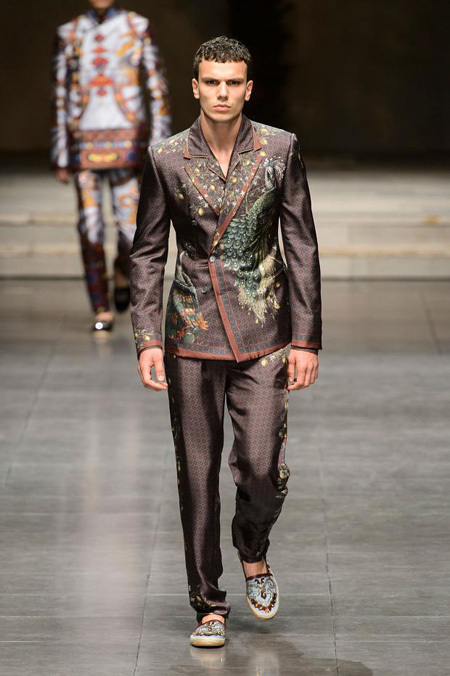 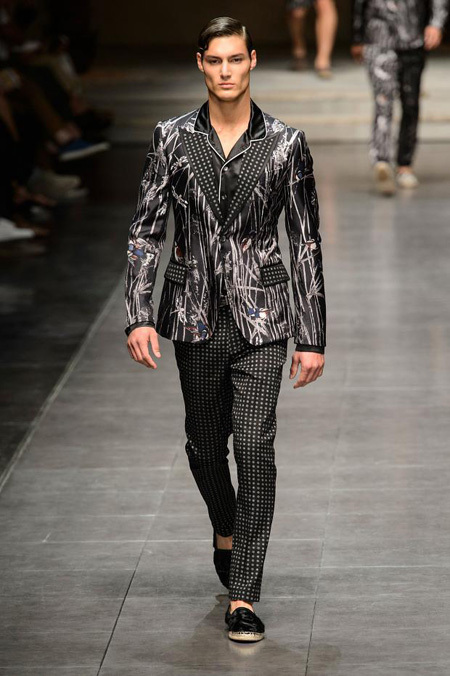 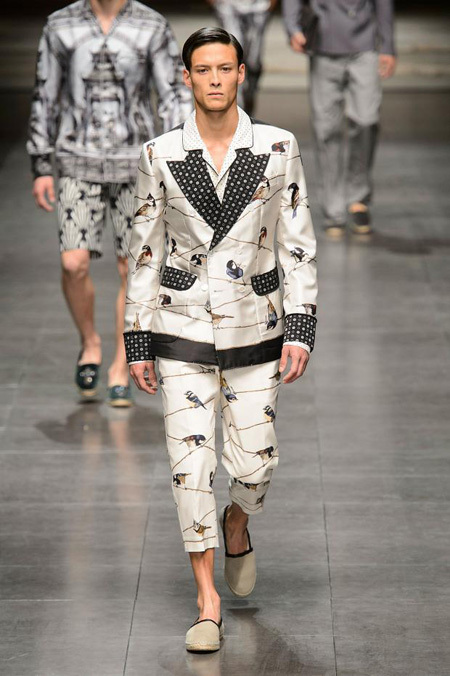 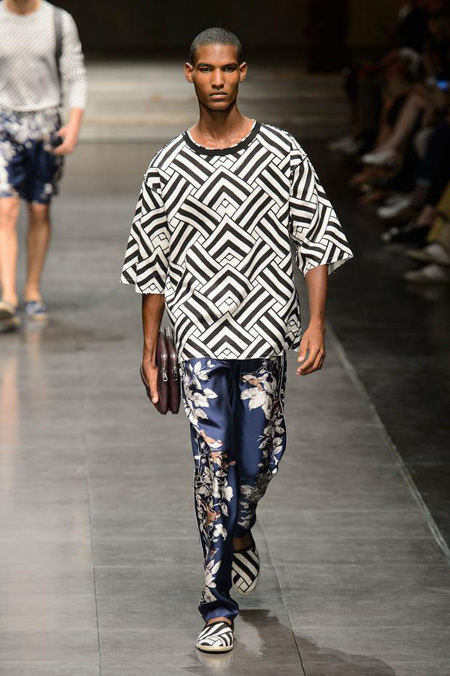 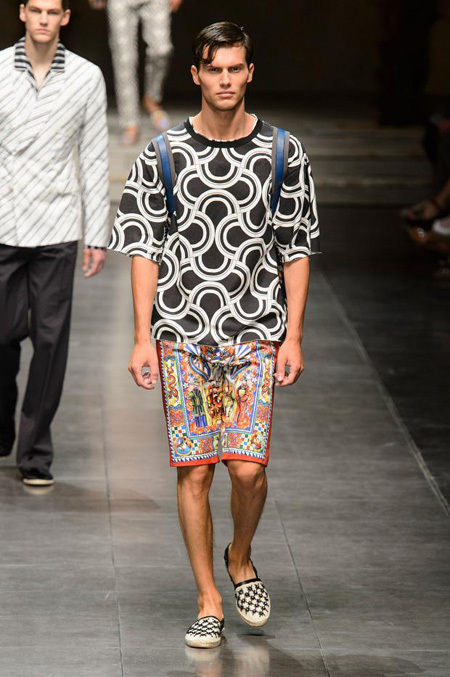 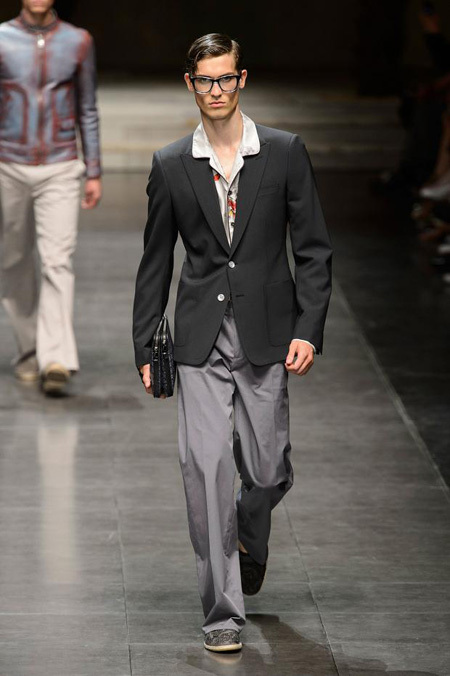 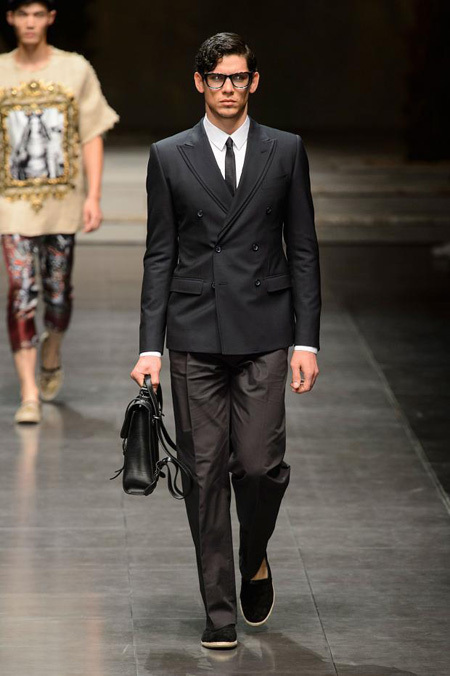 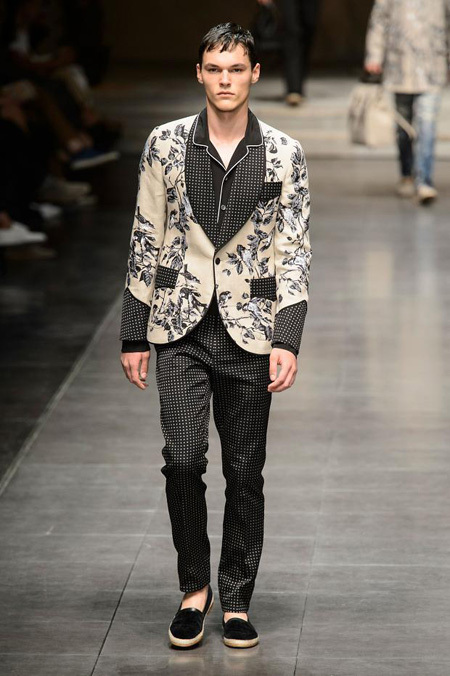 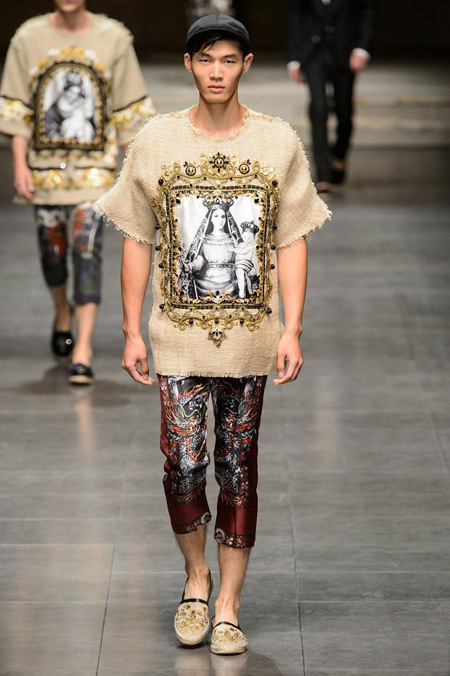 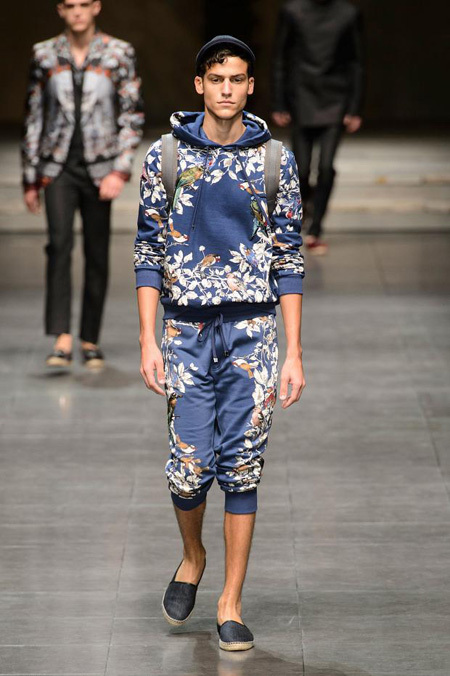 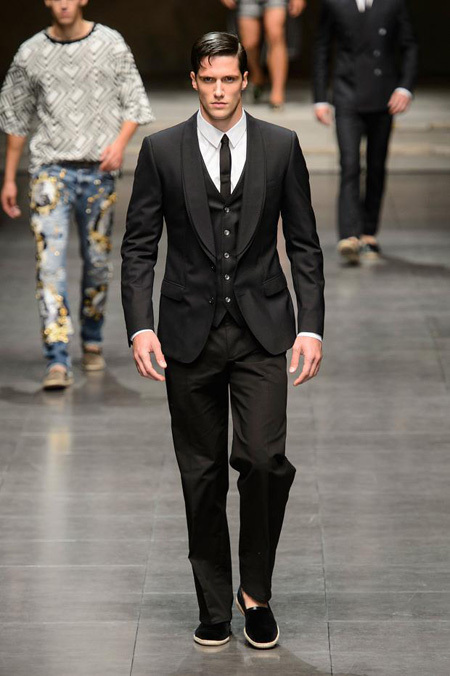 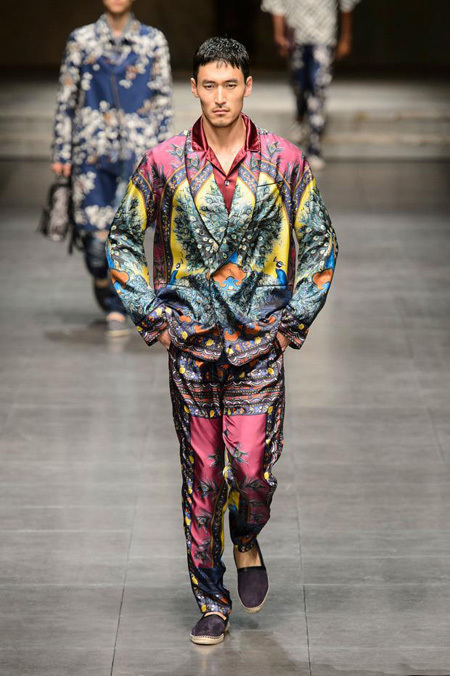 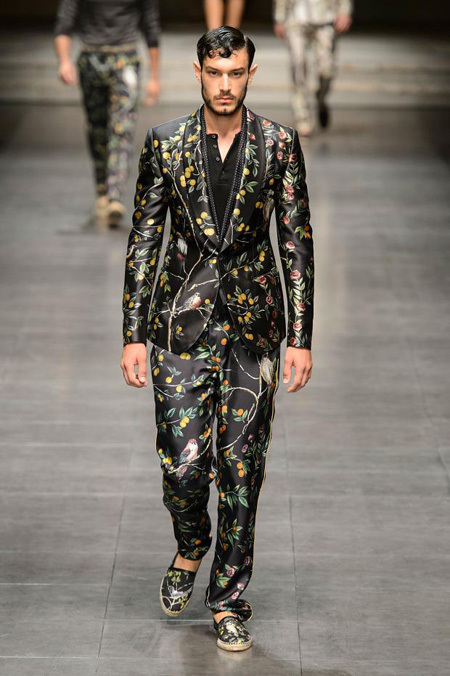 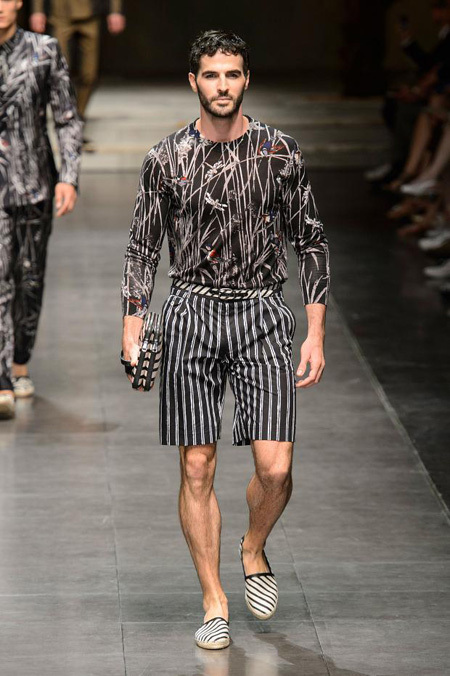 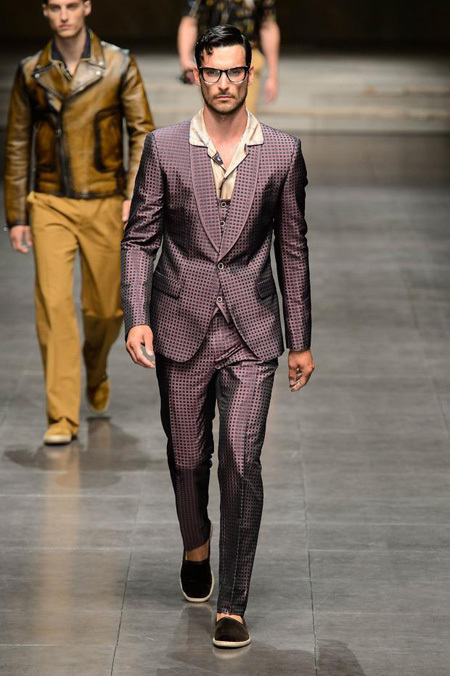 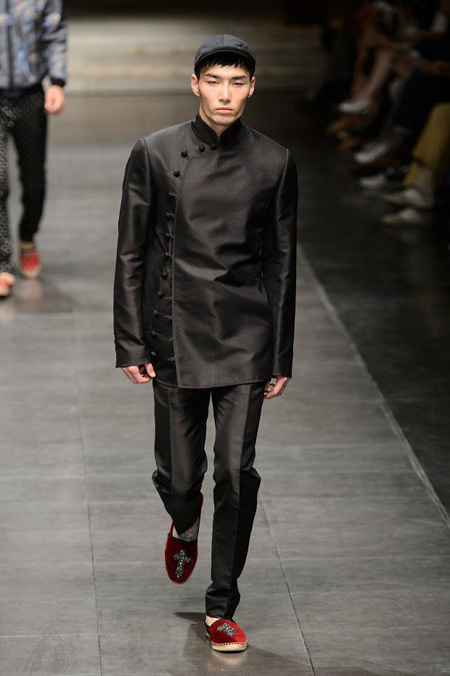 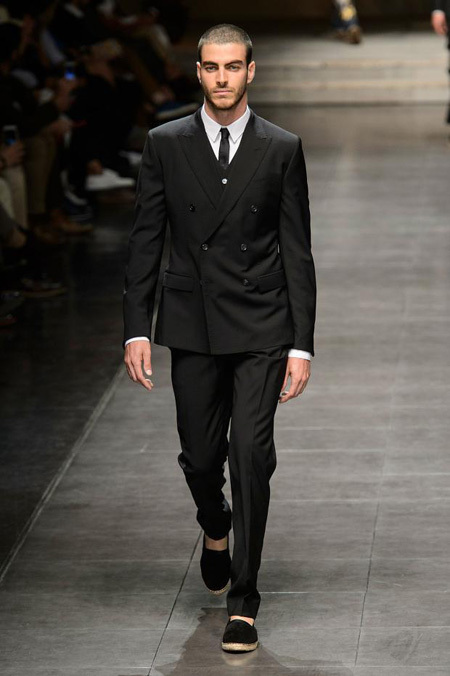 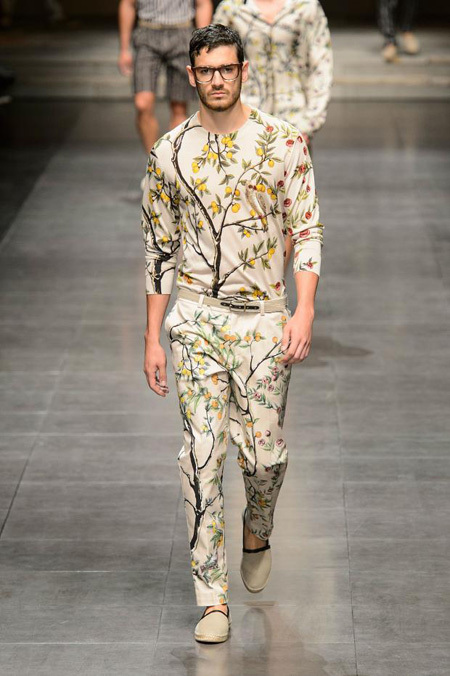 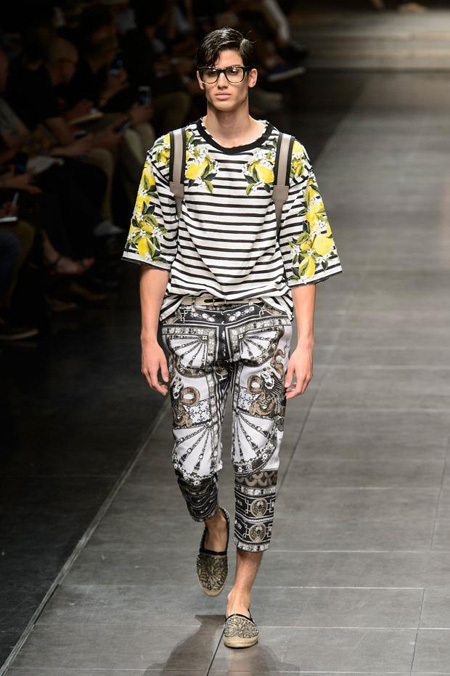 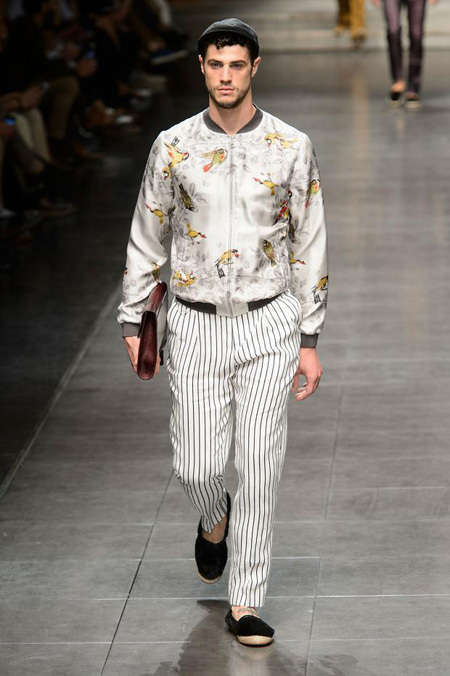 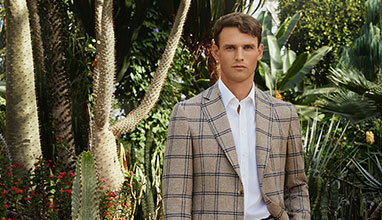 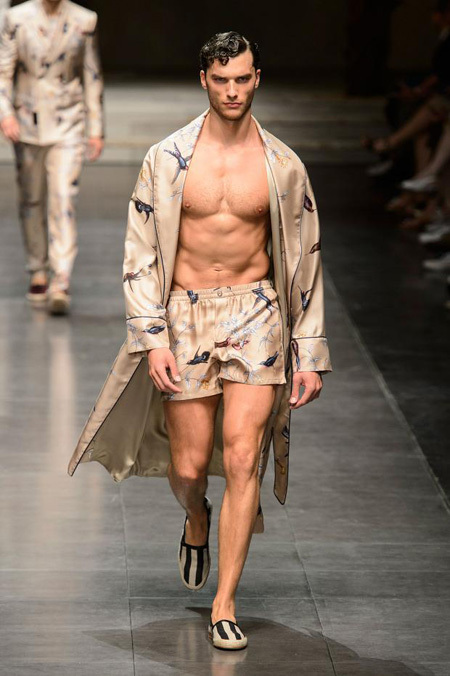 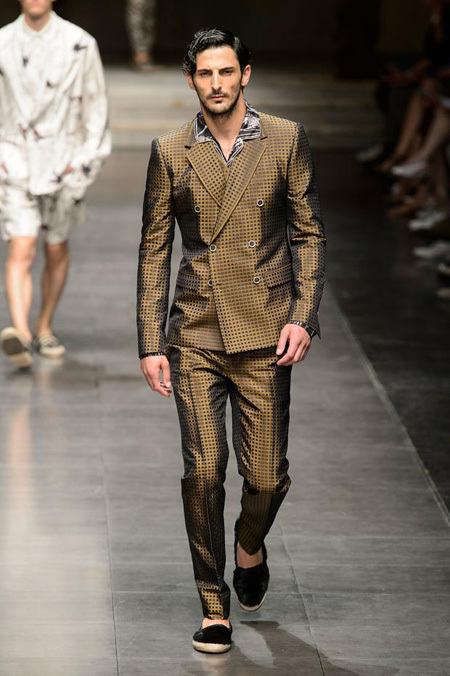 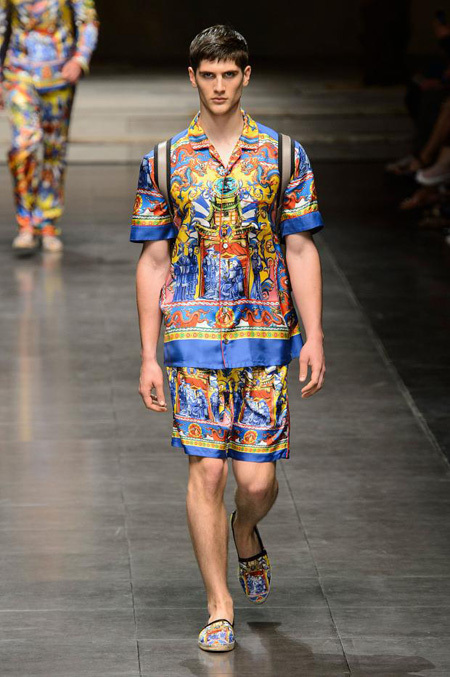 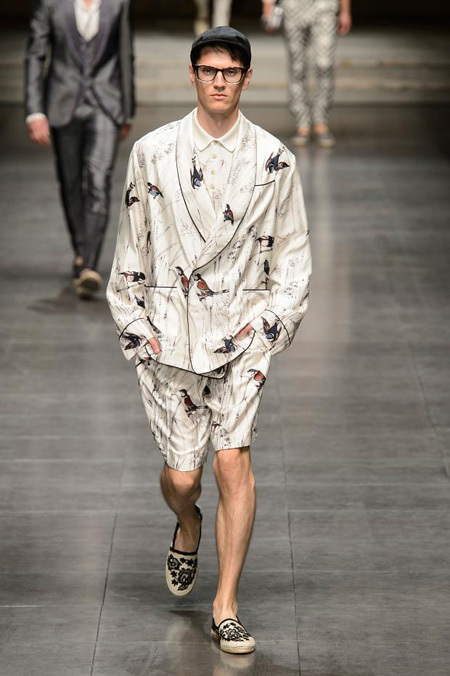 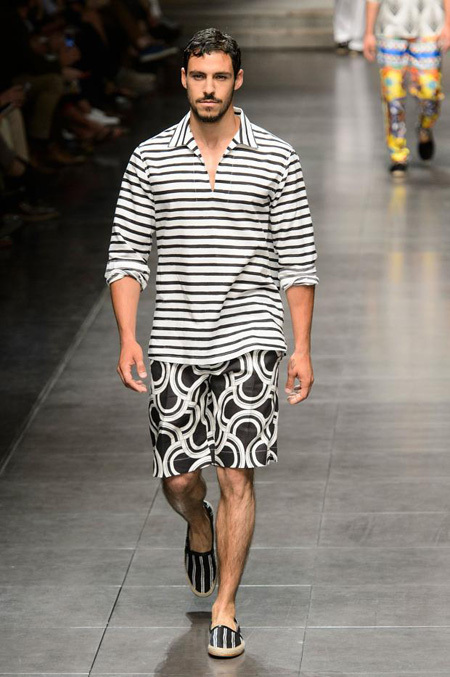 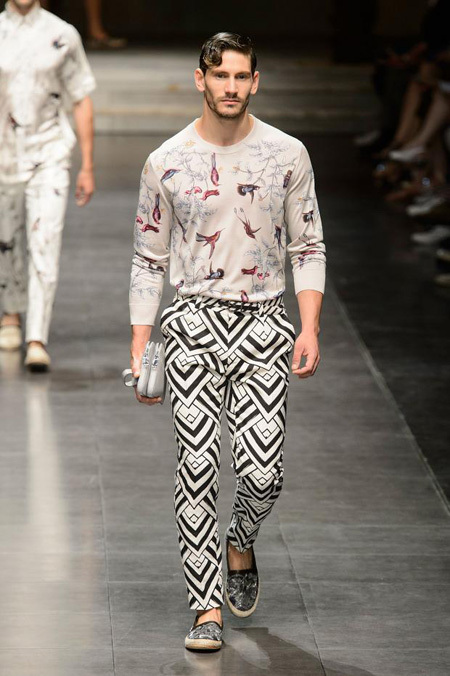 Further testimony that Sicily has always been the soul of Dolce&Gabbana.